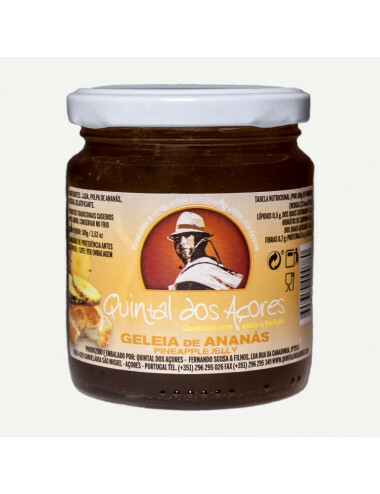 Medlar jam produced on the island of São Miguel, “Quintal dos Açores” factory. Glass jar of 350 grams. 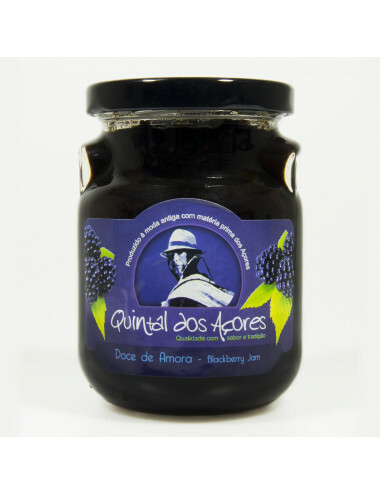 Blackberry jam produced on the island of São Miguel, “Quintal dos Açores” factory. Glass jar of 350 grams. 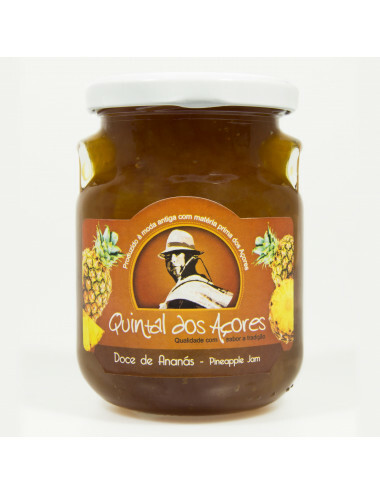 Pineapple jam produced on the island of São Miguel, “Quintal dos Açores” factory. Glass jar of 350 grams. Fig jam produced on the island of São Miguel, “Quintal dos Açores” factory. Glass jar of 350 grams. 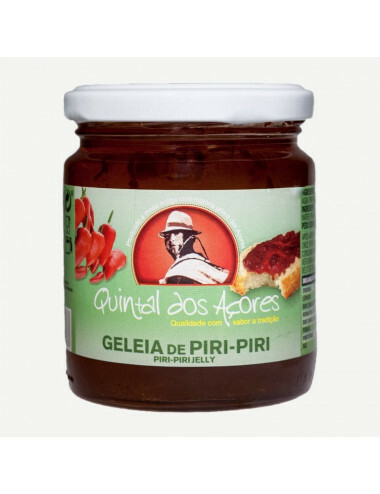 Psidium jam produced on the island of São Miguel, “Quintal dos Açores” factory. Glass jar of 350 grams. 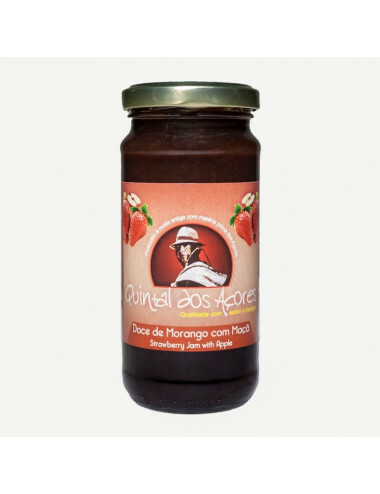 Tamarillo jam produced on the island of São Miguel, “Quintal dos Açores” factory. Glass jar of 350 grams. 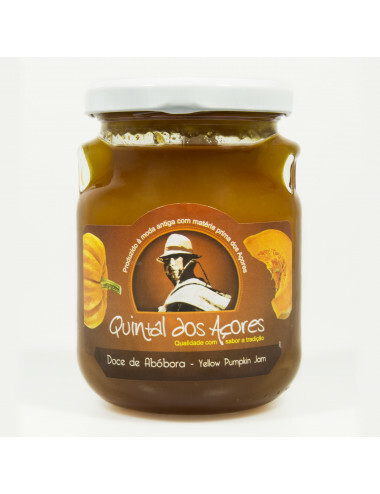 Pumpkin jam produced on the island of São Miguel, “Quintal dos Açores” factory. Glass jar of 350g. Strawberry jam produced on the island of São Miguel, “Quintal dos Açores” factory. Glass jar of 350 grams. 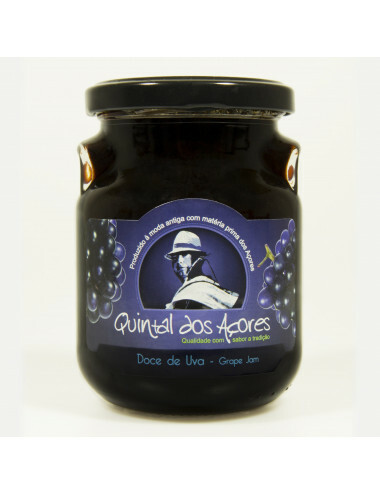 Grape jam produced on the island of São Miguel, “Quintal dos Açores” factory. Glass jar of 350 grams. Siam Pumpkin jam produced on the island of São Miguel, “Quintal dos Açores” factory. Glass jar of 350 grams. 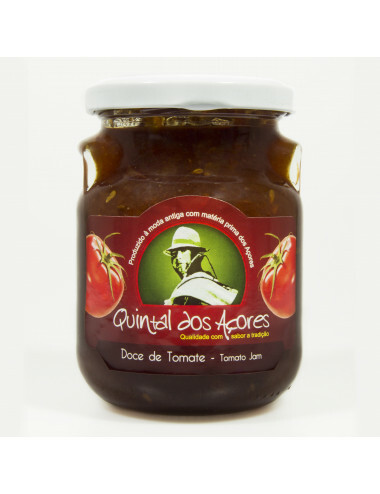 Tomato jam produced on the island of São Miguel, “Quintal dos Açores” factory. Glass jar of 350 grams. 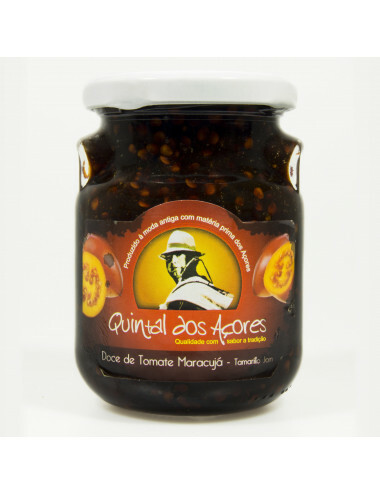 Physalis jam produced on the island of São Miguel, “Quintal dos Açores” factory. Glass jar of 350 grams. Guava jam produced on the island of São Miguel, “Quintal dos Açores” factory. Glass jar of 350 grams. 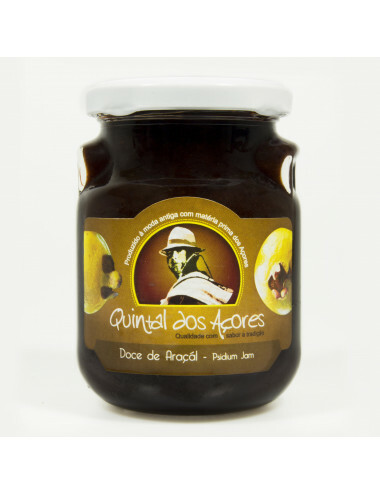 Physalis Jam from Terceira island, produced by "Açores Aromas". Glass jar of 240 and 350 grams. 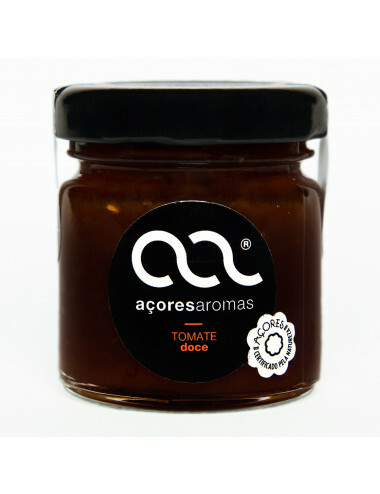 Tomato jam from Terceira island, produced by "Açores Aromas". Glass jar of 240 and 350 grams. 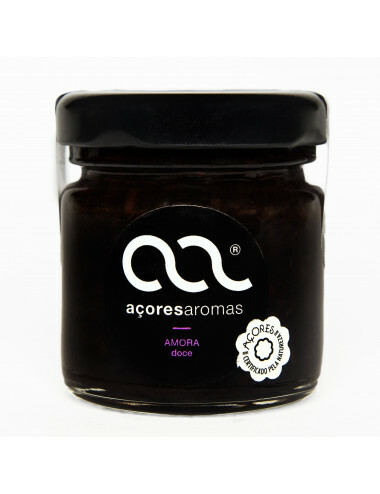 Blackberry jam from Terceira island, produced by "Açores Aromas". Glass jar of 240 grams. 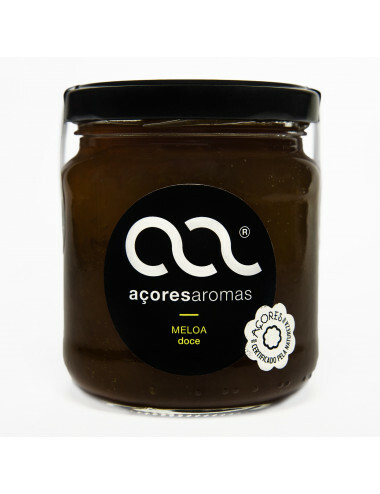 Pumpkin jam from Terceira island, produced by "Açores Aromas". Glass jar of 350 grams. 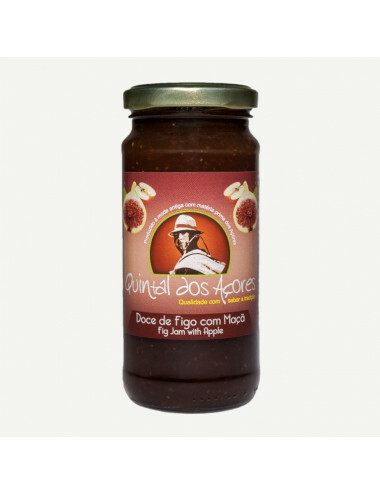 Fig jam from Terceira island, produced by "Açores Aromas". Glass jar of 350 grams. 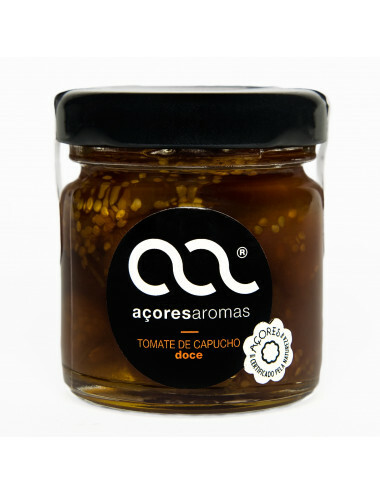 Cantaloupe Jam by "Açores Aromas". Produced with ripe cantaloupes from the Azores. Physalis Jam from São Miguel island, produced by "Corretora". Glass jar of 260g. 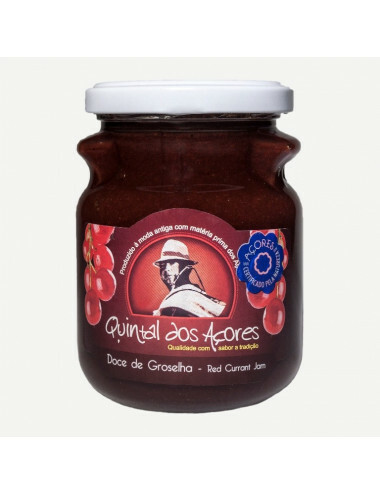 Red currant jam produced on the island of São Miguel, “Quintal dos Açores” factory. Glass jar of 350 grams. 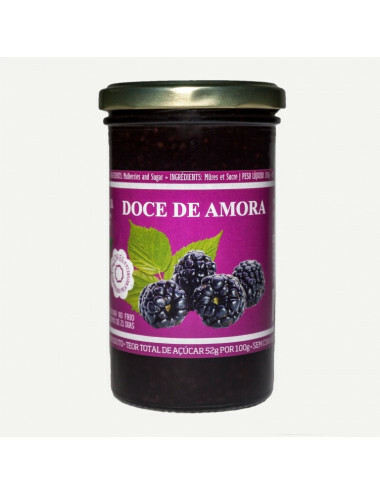 Mulberry Jam from São Miguel island, produced by "Corretora". Glass jar of 260g. 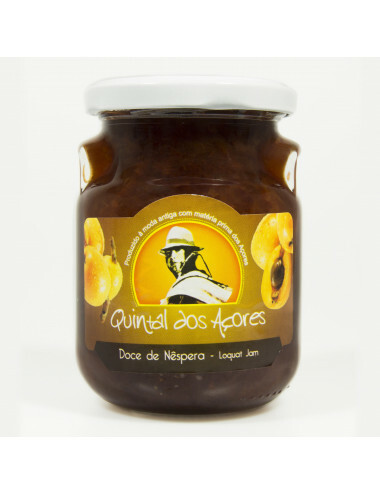 Fig jam with apple produced on the island of São Miguel, “Quintal dos Açores” factory. Glass jar of 350 grams. 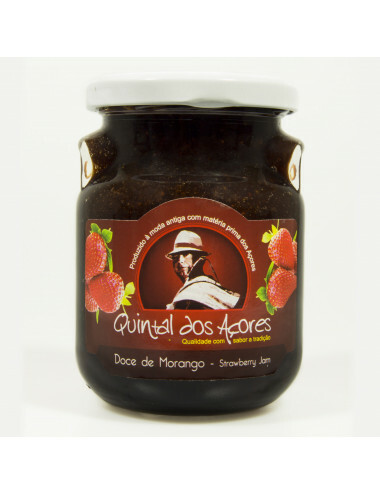 Strawberry jam with apple produced on the island of São Miguel, “Quintal dos Açores” factory. Glass jar of 350 grams. 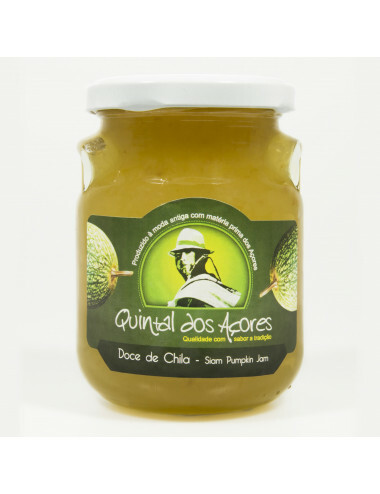 Chili jelly produced on the island of São Miguel, “Quintal dos Açores” factory. Glass jar of 300 grams. 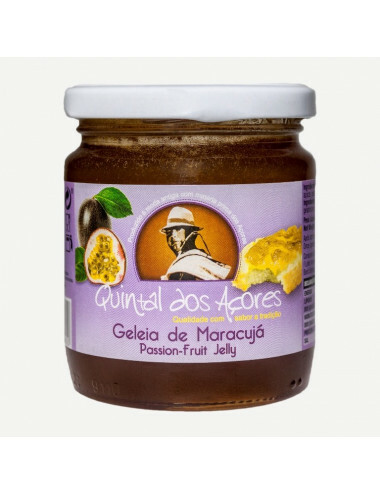 Passionfruit jelly produced on the island of São Miguel, “Quintal dos Açores” factory. Glass jar of 300 grams. 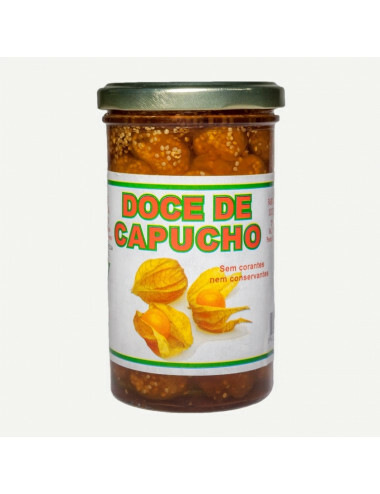 Pineapple jelly produced on the island of São Miguel, “Quintal dos Açores” factory. Glass jar of 300 grams.